Maui Wowie. Maui Wowi. Maui Wowy. However you prefer to spell it, it’s a pretty bomb and, of course, island-y strain with Hawaiin genetics. When developed right, Maui Wowie strain has got a delicious, tropical flavor and has a nice, heady buzz. While many strong Sativas have an overpowering fruity zest to them, Maui Wowie’s smell is more of a mellow citrusy one. It’s not the most overpowering Sativa on the planet, but it’s as smooth and good looking as any. Since the 1960’s, “Maui Wowie” (or “Waui“) was known as an especially exotic and desirable strain to cannabis connoisseurs the world over. While it’s unclear if the original genetic line is still alive and kicking, there are certainly many strains from Maui that are similar and capture the same smooth, citrus-pine taste and the enjoyable mid-level Sativa effects that it became famous for. As far as the dispensary scene goes, it seems that Maui Wowie and “Maui” operate interchangeably for the most part, with some plain “Maui” being distinguished from the Wowie by a more Indica growth profile and effect (at times this is called Hawaiian Indica as well). Maui strains are heavily Sativa in growth pattern, but the effect is generally mellow and clear-headed. Originally popularized in the 1970’s in pop culture by the likes of Cheech and Chong, Maui strains have retained an enduring reputation, especially with those who had it in its heyday. Whether the original Maui Waui still exists is up for debate — most seed varieties are of murky lineage and are most likely hybridized rather than landrace Hawaiian seeds. Some Maui is very tropical-smelling, with hints of sweet fruits and a floral quality — others (the ones with a greater Indica influence) have a more pine-dominant profile and are less sweet. Again, there is some variation between the purer Sativa-dominant Maui and the pine-scented one — the pure Maui has a softly sweet flavor while the other one has a more earthy pine flavor with a hint of lemon. 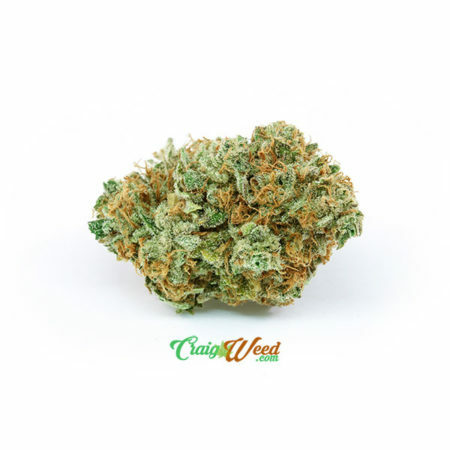 Though a well-grown and selected Maui may start rather strong, it generally will even out after 30-45 minutes into a smoothly energetic and uplifting experience. 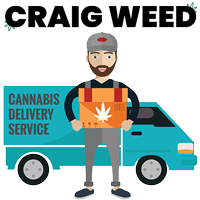 Known for aiding creativity, it’s also a good work strain once the initial potency passes, as mental processes are not affected and remain sharp. Maui strains can sometimes border on rushy body-wise, and normally will give a vibrating body sensation — not one for really relieving pain, it’s much more of a mental strain, providing aid with depression, anxiety, appetite stimulation, and migraines. Most Maui strains grow tall and lanky and may need support when flowering. The seedbank varieties are often hybrids containing Indica genetic lines and produce very well for commercial pursuits, growing more stout and dense compared to the pure Maui lines.